The all-white African black-foot penguin was born on December 14, but zoo staff decided to keep its arrival secret as they were unsure the vulnerable newborn would survive. "As far as we know, there is no other such specimen alive (in captivity) in the world," Michal Targowski, director of the Gdansk Zoo, told the TVN24 commercial news channel. "The baby is active, in good health, eats well and, what's very important, its parents are taking very good care of it," Targowski said. 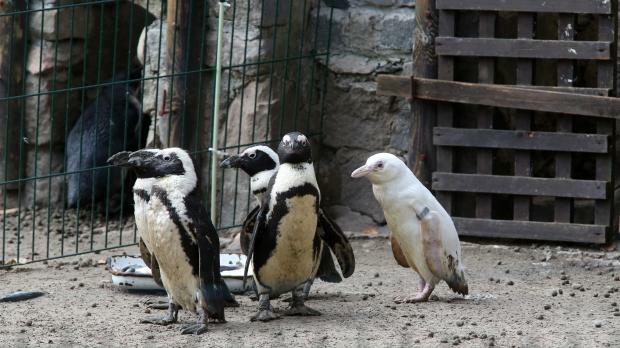 "We're really doting on him so that nothing bad happens to him", Targowski, explaining that other penguins in the troop could take exception to the baby's unique look and harm it.